As you near retirement, you are beginning to dream of your golden years after you finally retire and begin to enjoy all of your hard work. However, you are also becoming more and more aware of the potential risk your portfolio is facing. Could a downturn in the markets derail your retirement after a lifetime of smart retirement planning? Ideally, you have been monitoring risk throughout your life and ensuring that your portfolio is becoming less and less risky as you approach retirement. However, giving up growth isn’t an option either because you still have to contend with inflation. So, how do you balance risk reduction while still enjoying some growth in your portfolio? There are a few ways that professional investors accomplish this which we will introduce in this article. When young investors begin investing in the stock market, they are often looking to buy equities that will increase in value to grow their portfolio. Young investors have a long time until retirement age is upon them and, therefore, have time to endure the ups and downs of the markets. People who are getting closer to retirement will often look to reduce market risk in their investments. However, completely leaving the stock market may not be necessary. Instead, selling high risk stocks in exchange for blue-chip stocks with high dividend payments may be the right decision. Blue chip stocks are large, established companies that typically have less risk than so-called growth stocks. In addition, blue chip stocks often pay dividends to shareholders. Dividends are a share of the company’s profits and can be reinvested into your portfolio. While you won’t often see the price of blue chip stocks rise like other stocks, the dividend payments can be a less risky form of growth. Another common way that professional investors reduce portfolio risk is to invest more heavily in bonds with a smaller portion of investments in stocks. With interest rates increasing, bonds are becoming a more attractive investment with higher returns when compared with recent years. Governments use bonds to fund their debt. As a result, most government bonds in the United States are very secure and low-risk. While the return rates on bonds are not as attractive as a portfolio of growth stocks, the low-risk nature of bonds makes them the perfect portfolio piece for retirement planning later in life. Some investors look to reduce risk by making decisions that do not benefits their long term goals. Panicking while trying to reduce risk can be as poor of a decision as failing to consider risk at all. One common decision some people make is to keep their retirement savings in a cash account with very low interest rates. While this does remove any risk of market loss, it actually introduces inflation risk to your retirement savings. While the balance in your account may remain safe, the value of your money is decreasing as inflation increases. Professional investment advisors can develop effective low risk portfolios that still allow you to stay ahead of inflation. 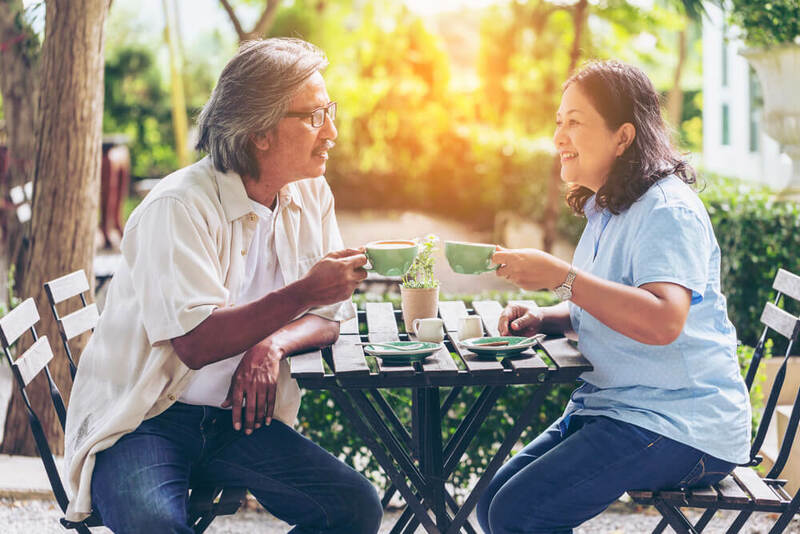 As you get closer to retirement, you want to ensure that all of your hard work actually pays off and helps you live the retirement you have dreamed of. At Mooney Lyons, we help people from all walks of life with retirement planning to suit their needs, investment risk profiles, and stage of life. If you would like to speak with a professional advisor about your retirement plan, contact us at Mooney Lyons today. All investing involves risk including loss or principal.. No strategy assures success or protects against loss. There is not guarantee that a diversified portfolio will enhance overall returns or outperform a non-diversified portfolio. Diversification does not protect against market risk. The opinions voiced in this material are for general information only and are not intended to provide specific advice or recommendations for any individual. All performance referenced is historical and is not a guarantee of future results.